Collection Fondation Jérôme Seydoux-Pathé La Dolce vita, coll. In 1962, the great Italian filmmaker Federico Fellini (1920-1993), got up one morning and described an encounter with Picasso in The Book of Dreams, a set of notebooks like an oneiric anthology, in which he drew and wrote about what he had dreamed, at the request of his psychoanalyst Ernst Bernhardt, a disciple of Carl Gustav Jung. Between November 1960 and August 1990, Federico Fellini filled two thick books with an extensive imagery composed of characters and pictures that were the source of some of the unforgettable scenes in his films. Pablo Picasso was first depicted in a dream dated 22nd January, 1962, in which Fellini and his wife, Giuletta Masina, were visiting Picasso at his home, gathered in the kitchen in a cosy, friendly scene. In his memoirs, the director wrote that “we were in a kitchen - clearly the kitchen of his own home. It was an enormous kitchen, full of food, paintings, colours… We talked all night”. Five years later, on 18th January, 1967, he again dreamed of Picasso, writing in his notebook: “All night with Picasso, who talked and talked… We were great friends, he was very kind to me, like an elder brother, an artistic father, a colleague who saw me on his own level, someone from the same family, the same stock…”. There was another dream in 1968 that Fellini did not draw but did write about, to do with fake news about Picasso’s death. Finally, in July 1980, Fellini described his fourth and final dream, in which he states that Picasso once again spoke to him as both a friend and a master: “I dreamed of Picasso (looking a little older and more shrunken, but still very lively), who talked to me non-stop”. 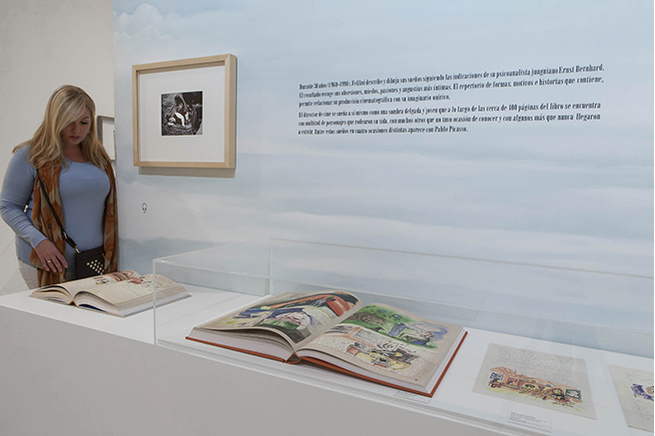 The exhibition’s journey begins with the Book of Dreams, then continues along the Via Margutta, in Rome, where both men lived at different times in their life and where they were brought closer to classical antiquity, and gains shape with images of Greek and Roman remains, inhabited by mythological characters. Then, as a reference to the powerful presence of women in the work of both artists, a dreamlike journey begins in which women are represented as divine figures, who are both terrible and sublime, delicately sensual and profoundly carnal, temperamental and serene. For Fellini and Picasso, the circus was another realm that served as inspiration and for interaction with popular culture; an irreverent universe in which surprise, humour, deception and transformation are personified by acrobats, harlequins and pulcinellas. For Fellini, cinema was allied to painting, as neither can exist without light: “For me, cinema is about images, and light is the fundamental factor. I have said this many times: in cinema, light is ideology, feeling, colour, tone, depth, atmosphere and narration”. The exhibition therefore also looks at both artists’ creative processes. 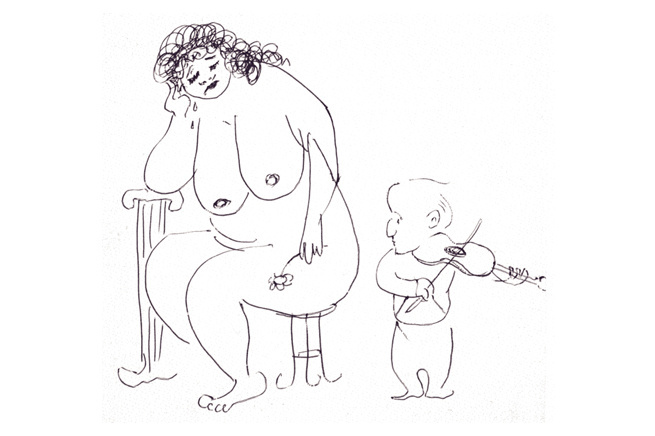 Throughout his life, Fellini made notes of the world around him, with grotesque drawings to which he would sometimes add comments. Although as a young man he had earned his living as an illustrator and caricaturist, it was film that was finally to become his technique for artistic expression. 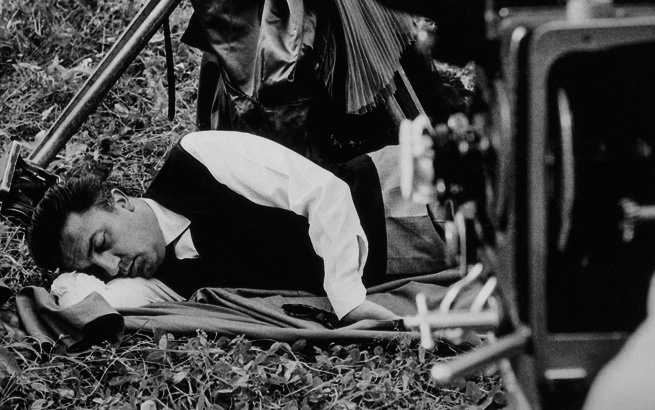 Fellini directed films from 1950 to 1990, although his greatest successes as a filmmaker were in the 60s and early 70s. His films won a wide range of international awards, such as the Palme d’Or at the Cannes Film Festival for La Dolce Vita (1960), which was highly successful and the start of his collaboration with Marcello Mastroianni. The film 8½ (1963), marked the beginning of the second period of Fellini’s films, with their exuberant fantasy and surrealist humour. Juliet of the Spirits (1965) gave rise to some controversy, as also occurred with other Fellini films, due to its unashamed eroticism and his ironic take on himself and Italian society. In the 1970s and 80s, films such as Roma, City of Women and And the Ship Sails On featured in the later work of the director, who was now the master of a very personal universe and an extremely free style. In 1993, shortly before he died, he received his fifth Oscar, for lifetime achievement. 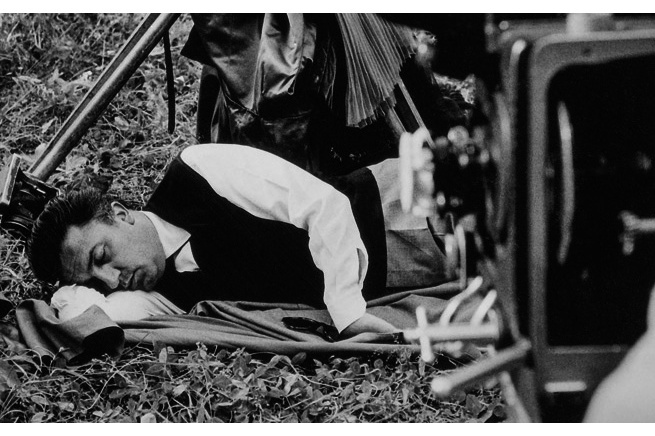 On several occasions, Fellini confessed his desire for cinema to be a kind of painting, in its own way - and indeed his films are composed of episodes than can certainly be described as pictorial. 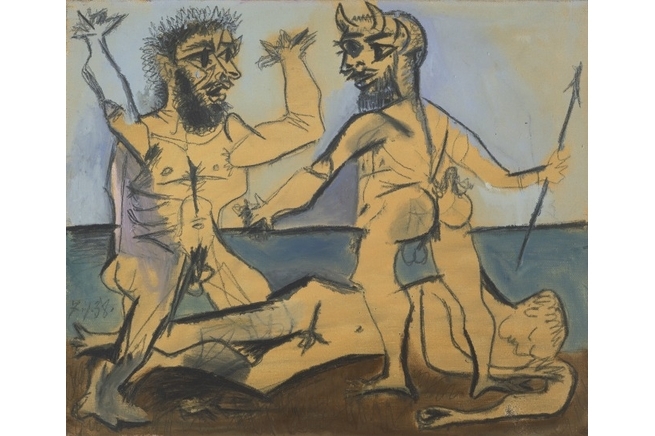 Film was also part of Picasso’s life, and it does seem to have had an influence on his painting. It was in Paris that the modern experience of going to the cinema first began, and there is no doubt that film changed the direction of both art and history. From 1909 onwards, Picasso went to the cinema: the deconstruction of movement, the effects of speed and the distortion of images on the screen must have coincided with his artistic concerns during this period. It was in the South of France, and not until 1950, that Picasso experimented with film. With Frédéric Rossif he co-directed La Mort de Charlotte Corday, in which he used ceramics and sculptures, and made drawings on his actors. The film was never shown commercially, although it was screened at the Festival of Antibes. 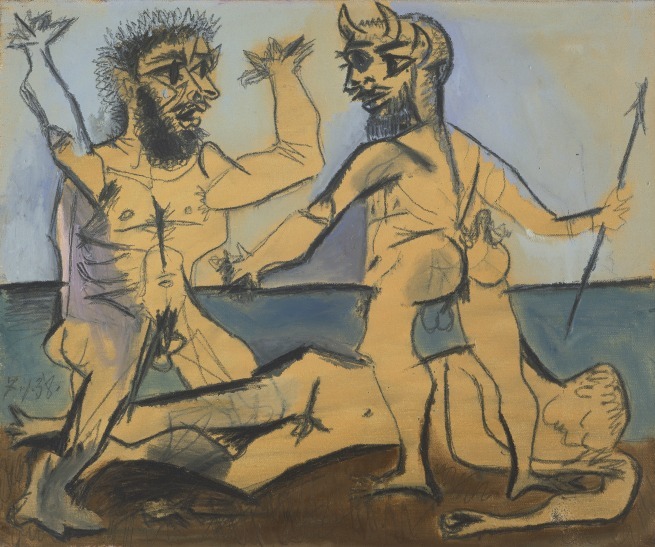 In 1951, Robert Picault shot La Corrida de Picasso, for which the maestro made a small set out of cardboard, with a bullring and typical characters. Picasso also attended the Cannes Film Festival where, in 1955, Luciano Emmer presented Picasso and where, a year later, H.G. Clouzot received the Special Jury Prize for Le Mystère Picasso, a film that gave audiences the chance to see the artist’s technique and how he worked. It was shot in Picasso’s studio, using innovative filming techniques, and showed an artwork being created, brushstroke by brushstroke. Picasso also attended the festival when Fellini presented Nights of Cabiria (1957), for which the director’s wife, Giulietta Masina, was awarded the prize for best actress, and the two men coincided again in 1961. The museums and institutions that have loaned works for And Fellini Dreamed of Picasso include Fundación Almine y Bernard Ruiz-Picasso para el Arte; Museu Picasso, Barcelona; Musée Picasso, Antibes; La Cinémathèque Française - Musée du Cinéma, París, and Comune di Rimini, along with several private collections. The other organizations that have collaborated on the exhibition, which was co-produced with La Cinémathèque Française where it will be seen from April, 3 to July, 29 2019, are the Fundación Almine y Bernard Ruiz-Picasso para el Arte, Festival de Málaga, and Comune di Rimini. The exhibition is sponsored by CaixaBank. 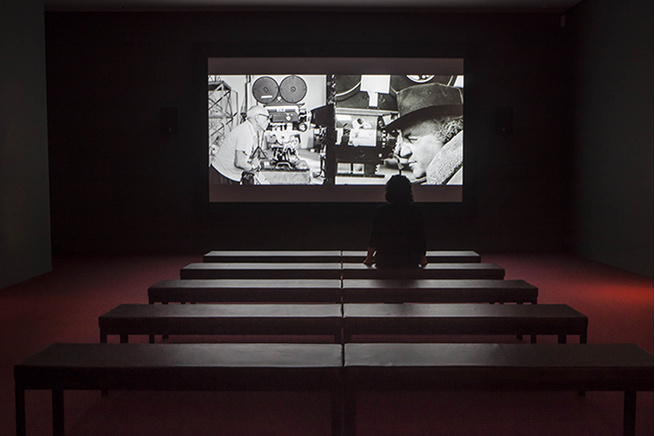 To coincide with the exhibition, a cinema auditorium has been created for the screening of a 22-minute film made by director Isaki Lacuesta, using excerpts of films by Fellini. The script by Lacuesta, whose work includes both documentaries and fictional films, is narrated offscreen by Spanish actress Emma Suárez. At the entrance to the exhibition, visitors will also find an information sheet to take away with them, illustrated by artist Curro González. On the front, in the style of a poster for a Fellini film, is a drawing depicting characters, settings and items that were common to both artists, while on the back there are introductions to the various sections of the exhibition. 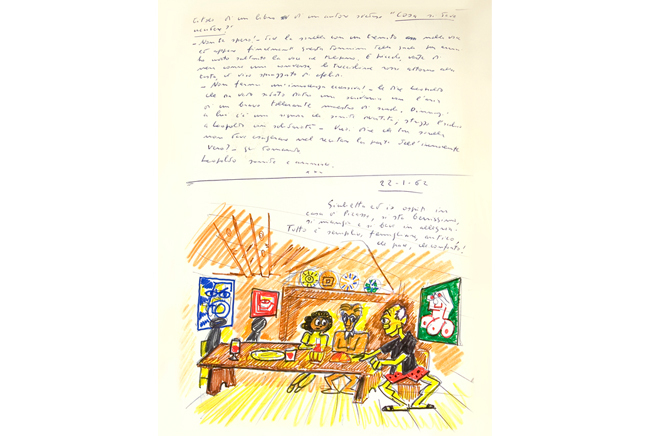 A two-part catalogue has been published on And Fellini dreamed of Picasso. The first part contains two articles by Fellini; an introduction to The Book of Dreams by filmmaker Tulllio Kezich; an essay by curator Audrey Norcia; another by the artistic director of Museo Picasso Málaga, José Lebrero Stals, and a selection of words and pictures by the great Italian director himself. The second book will contain essays by experts such as film critic Jean-Max Méjean. The unforgettable melodies by Nino Rota which put music to the films of Fellini, joined in this Spotify's playlist. 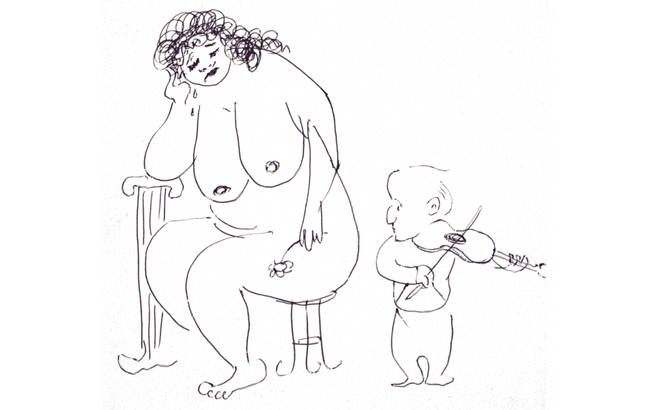 Experts talk about Fellini and Picasso. Activities for families and adults in a day dedicated to the Italian filmmaker.